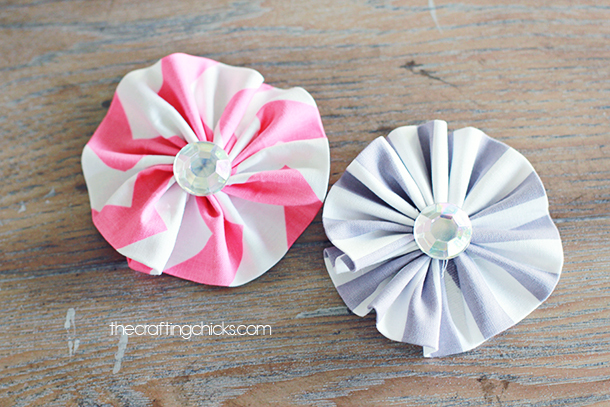 These fabric flowers are so fun and easy to make. I have used them on my mini Bakeshop Aprons and many other things. My 7 year old can make them and she loves it. Here are the quick and easy steps! 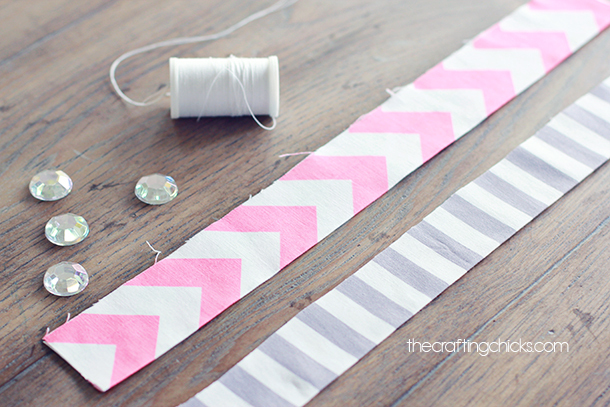 Cut a 12 x 3 in strip from your fabric. Iron the strip folded in half the long way. Fold right sides up. Thread your needle. Double knot at the bottom. 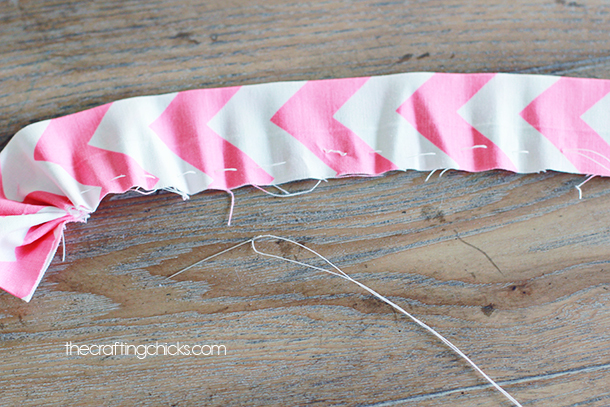 Then sew a straight running stitch (not on the folded side) along the strip…You can begin to pull and ruffle as you go. Don’t pull too hard or it will break your thread. Just pull slowly. 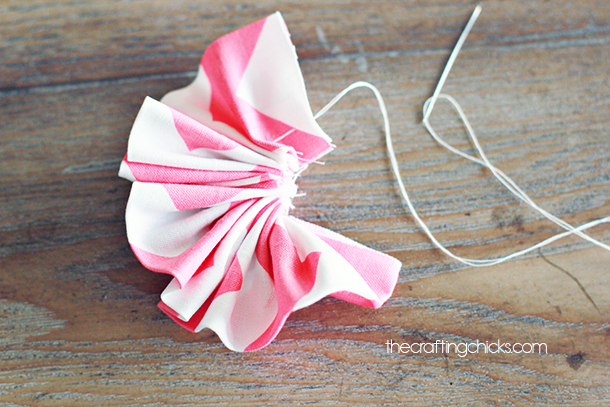 Step 4: Keep pulling the thread slowly until it wraps around into a ruffle flower shape. 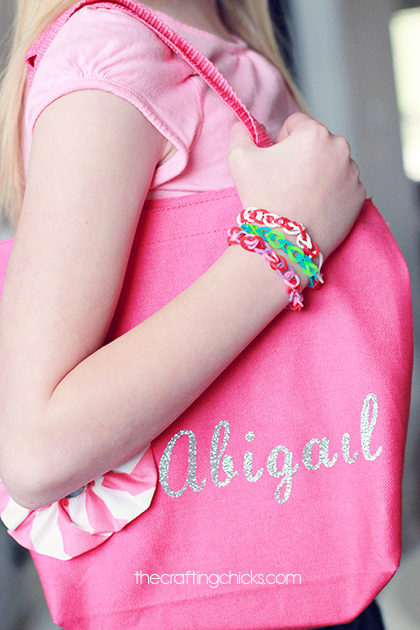 Add a jewel or a button to the center! 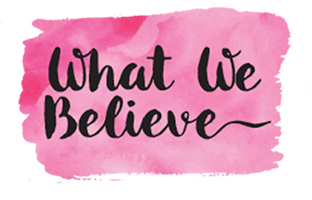 Then add them as an embellishment to anything you’d like! 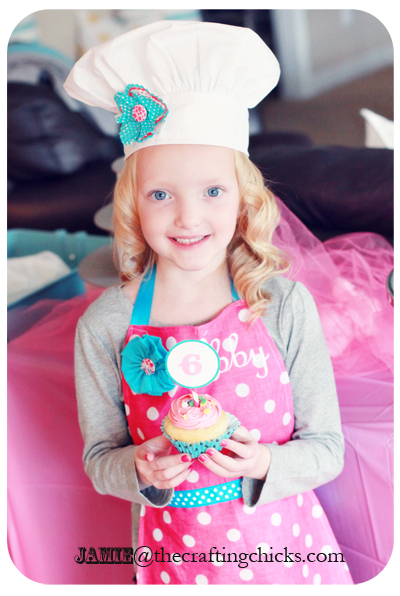 I added them to cute aprons for our Paris Bakeshop party! 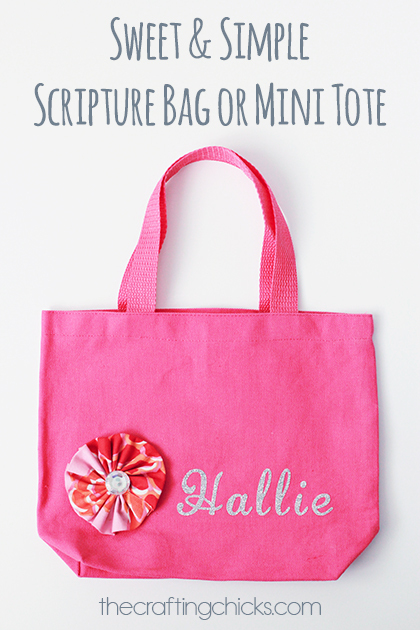 We also added them onto totes with iron-on vinyl names as cute scripture bags! Looks so cute and easy! 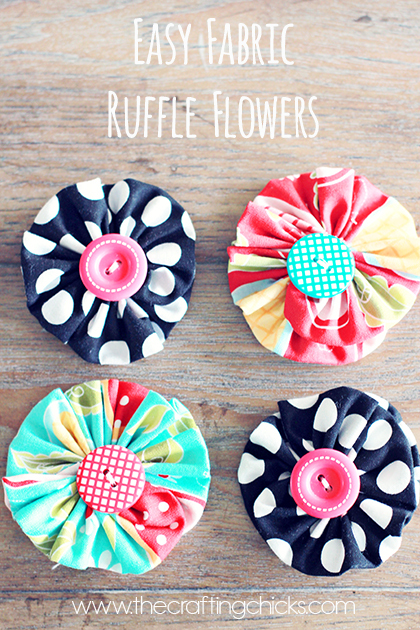 I couldn t get the link for DIY No-Sew Fabric Flower via Ruffles and Stuff to work. I have tried so many times to make a flower but it never works. But thanks to you I finally found one that is cute and easy to make! Thanks so much!!! 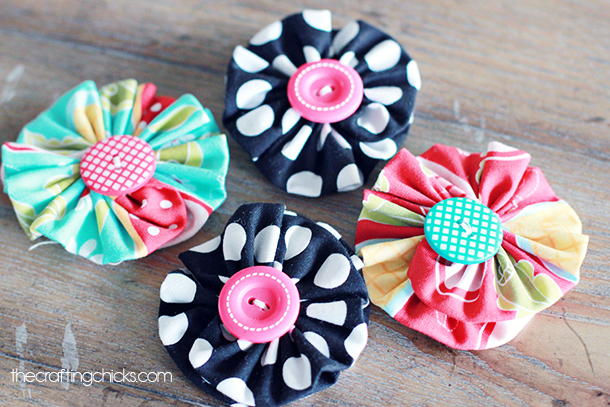 How would I attach a rubber band to the back of ruffle fabric flower to put it on a dog’s collar? You could try a small strip of velcro, like they use on infant bows. 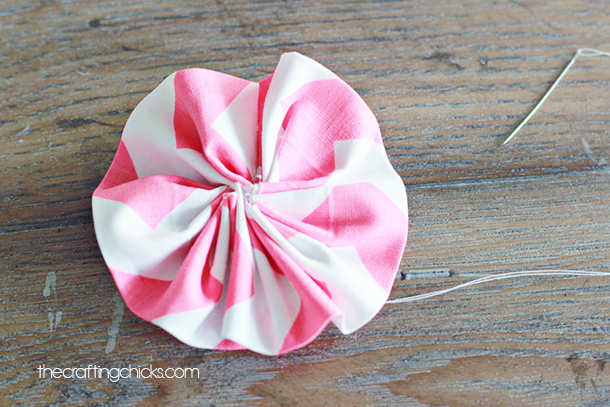 Love love this pattern & sooo simple & easy to make. Thank you so much. You just made my day as I’ve been thinking what summer decor to do & an excellent topper for mason jar take home. Makes cute refrigerator magnet..just glue round magnet to back… I made several for my friend as ann apartment warming present..nice! Such a fun idea! I love that!